Comparing version 12:11, 29 May 2013 by jodyc with version 13:07, 7 Feb 2019 by natem. 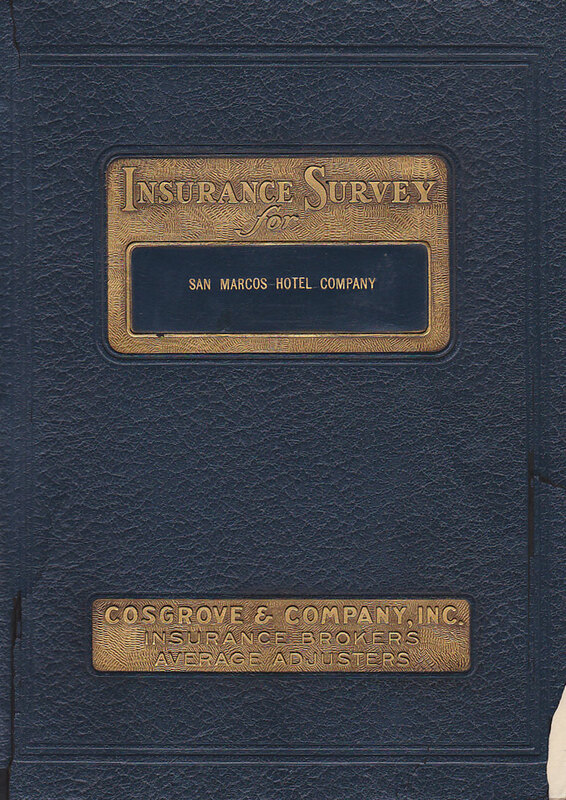 Description: In 1938, the insurance adjuster company of Cosgrove and Company of Los Angeles, CA prpared an insurance report for the San Marcos Hotel Company. To see a PDF of the report, click HERE. To see the photographs in the report, click HERE.